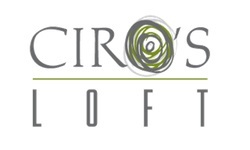 Dallas December 3, 2015: Ciro’s Loft announced that it has affiliated with the high-end design showroom of Cory Pope and Associates and their unique, one-of-a-kind art and accessories are now on display. Each piece represented by Ciro’s Loft is hand chosen to create instant impact and a strong statement for the discerning client. Sisters, Sara Welborn and Jane Grant have searched world wide for different pieces, each with a unique story. From currency used in Africa to grand scale ceramic vessels made in the USA, the natural beauty of the piece will leave your client in awe. “We take special pieces, mount and artfully present them in a way that makes a statement in the home or commercial application. “ said Sara Welborn. “Pairing with Cory is a natural fit. Our pieces have the same large scale and high-end design elements that compliment Cory’s furniture and we could not ask for a better partner”, adds Jane Grant.